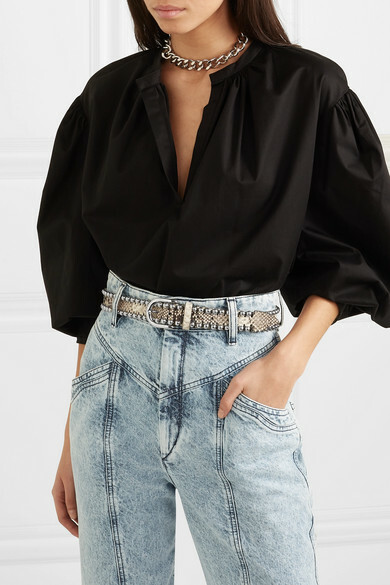 If you want to try the Western trend but aren't sure how, the subtlest way is with accessories - even a belt like Isabel Marant's 'Tokky' style will totally change the mood of your usual T-shirt-and-jeans combo. 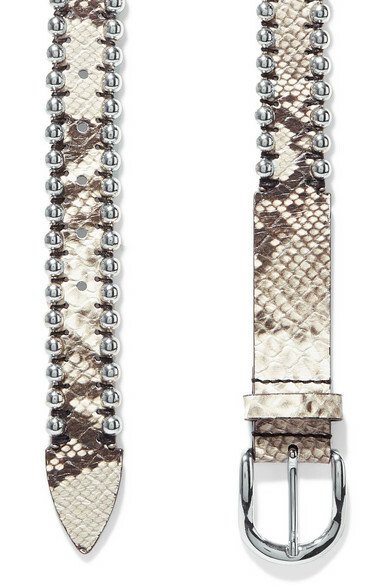 It's crafted in Italy from snake-effect leather that's outlined with hand-painted edges, whipstitching and glossy silver studs. Shown here with: Isabel Marant Jeans, Isabel Marant Étoile Blouse, Isabel Marant Choker.